DESCRIPTION: The mine had been used in two forms log before WWI. Incendiary devices were floated down into enemy fleets in ancient times. When gunpowder became available, it was soon employed to build explosive mines that could be floated into enemy fleets. When the first submarine was built in the American War of Independence, it was intended to allow an explosive mine to be carried out to blockading British warships and attached to their hulls, detonating by delayed fuse. Early mines all suffered the disadvantage that the delivery system was poor and the fuse system was not ideal for use at sea. The target had to be stationary and the fire ship was still a more effective way of attacking enemy ships in port or at anchor. By the middle of the Nineteenth Century, fuse technology and explosives were improving rapidly. The spar torpedo was replaced by the locomotive torpedo and there was then an effective method of delivering an explosive to a target warship even when it was moving. That led to the development of torpedo boats, torpedo boat destroyers, and submarines. All of the historical mine attacks were apparently replaced by the torpedo and particularly by the torpedo equipped submarine. 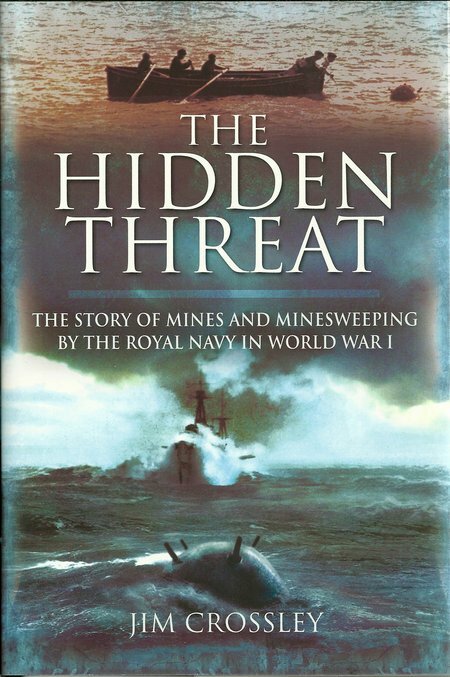 This may account for the way that the sea mine has been largely ignored in books of Twentieth Century naval conflict. In reality, the sea mine was to prove a very effective anti-ship weapon that was frequently more effective that the torpedo and its submarine launcher. By 1914, Germany and Britain had built stocks of sea mine and various types of mine layer. Potentially, the sea mine was more of a threat to British vessels because few German ships dared to put to sea and British vessels increasingly travelled in convoy. The use of sea mines for defensive and offensive purposes was rapidly developed in from 1914 to 1918 and then repeated and further developed during WWII. Britain laid large defensive minefields around its coasts and off and in the North Sea. British convoys and independent vessels could then travel in clear lanes between the fields, reducing the directions and opportunities for attack by German vessels The weakness of this tactic was that storms could cause mines to break free and end up in what should have been free lanes, accounting for a number of sinkings of British vessels. Similarly, the Germans could lay mines in the lanes and sink more vessels. This meant that Britain needed effective minesweepers and even when sailing in clear lanes, a minesweeper would sail ahead of a convoy to make sure there were no enemy mines or rogue British mines in the lanes. Laying mines was simple and could be undertaken by a variety of vessels, including submarines. The sea mines sat on a wheeled base that included a weight and a length of cable, attaching the weight to the mine. As a minelayer steamed on a set course, the mines were pushed down a track and over the stern. As the mine sank, a hydrostatic valve armed the mine and allowed it to float free from the weight, but attached by the line. The position and course of the minelayer was carefully plotted so that friendly vessels could avoid the minefield. As the cables ran out, mines in the field would float at different depths to present the maximum threat to surface vessels and submarines. A submarine might initially miss a mine and snag the cable, usually on the diving planes. As the submarine moved forward, the mine would be dragged down towards the vessel, detonating on contact with the hull. In 1914, mines were usually either spherical or egg-shaped. The detonators were normally mounted on the top of the mine, or towards the top, and the classic mine looked as though it had horns around its top. During WWI, the sea mine was a relatively cheap and simple weapon that depended on a vessel striking the horns to detonate the charge. This meant that minesweeping was also relatively simple and cheap. The standard approach was to stream a cable with a paravane at one end and the ship at the other. This allowed the seep to run at a set depth and cut the cable of any mine in its path. The mine would then bob free and be destroyed by gunfire or recovered by a small boat and disarmed or exploded safely. In WWII, more sophisticated mines lead to more sophisticated minesweeping and today, a modern mine is very sophisticated, requiring very sophisticated minehunters. The author has given a very detailed account of main warfare during the 1914-1918 War. He covers the technology of mines and the methods of laying minefields, sweeping for mines and clearing up after the end of war. From his account it can be seen that fishing vessels made rapidly converted minelayers, already being equipped to sweep for fish with nets and trawls. Warships, even large warships, were routinely equipped with mine sweeps. The final clear up in peacetime displayed one serious weakness of mine warfare. North Sea coasts continue to see sea mines washed ashore, some mines being from WWI. Maps of minefields were lost or inaccurate and storms broke mines from their moorings. Some of these antiques of mine warfare are still dangerous explosive devices and all have to be treated as active, being taken by bomb disposal teams to a safe area and detonated by placing new explosives against them. An intriguing book, well-researched and written, which covered a topic that is probably not present in even well stocked bookshelves.